This is the 3rd year I am sharing my goals with you. 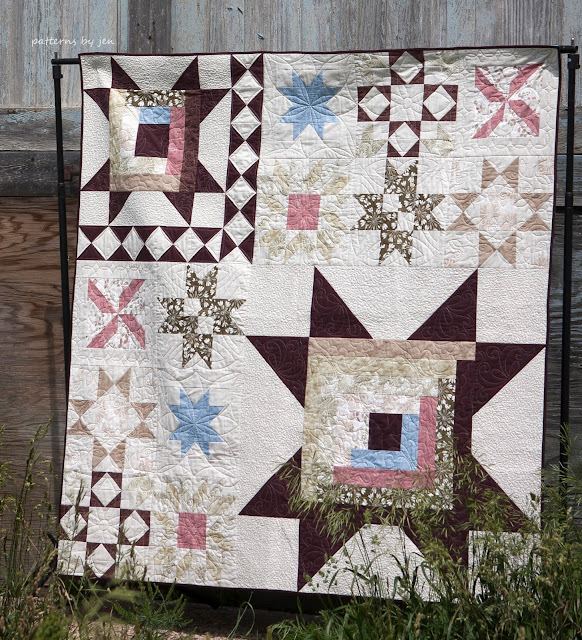 It is nice for me to have them written down and public so I have my quilting friends holding me accountable. I come back to the post often to motivate myself and to remind myself of what I am suppose to be working towards. 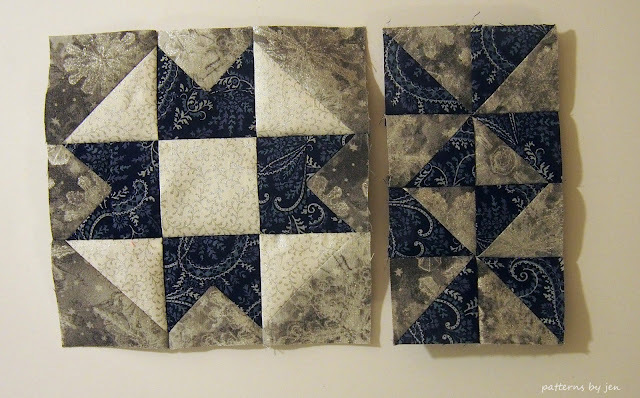 1) Publish 8 patterns - I feel like I need to keep growing, but if I don't hit 8, I'm going to be OK with that. I'm a wife, mother and family child care provider; giving myself a little slack is important. All words and no pictures make for a boring blog post. 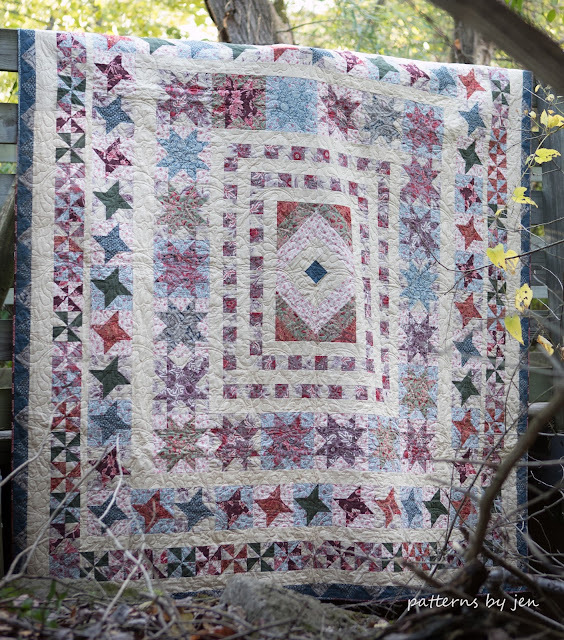 Published Patterns: X-Squared, Softly Circled, Against The Grain, Gradient Stars, Criss Crossing and Quilt Crush )published first in McCalls Quick Quilts and now digitally by me), The Border Quilt, Broken Panes, as well as blocks in Quiltmakers 100 Quilt Blocks Issue 15 and Issue 16, a free pattern for the BU Quilt Along and twelve mug rug patterns for the Muggamo series. 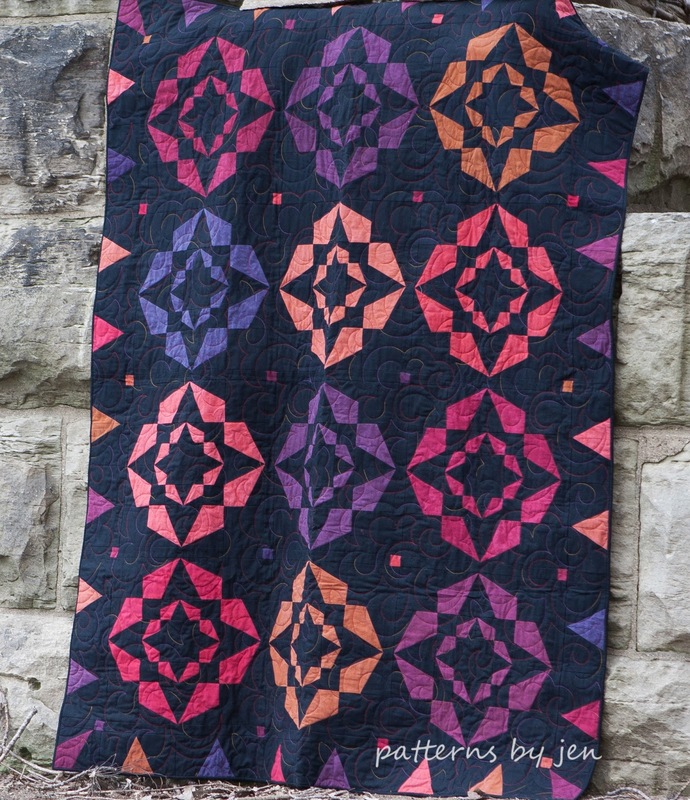 Still figuring out logistics of this, but I did vend at my first quilt show. 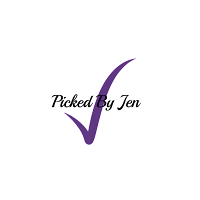 3) Get published in a different magazine - I've already had a rejection from a different magazine, but I'm hoping to get picked up by another one. If at first you don't succeed, try, try again. 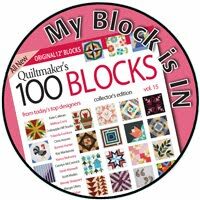 I was published in Quiltmakers 100 Quilt Blocks this year. 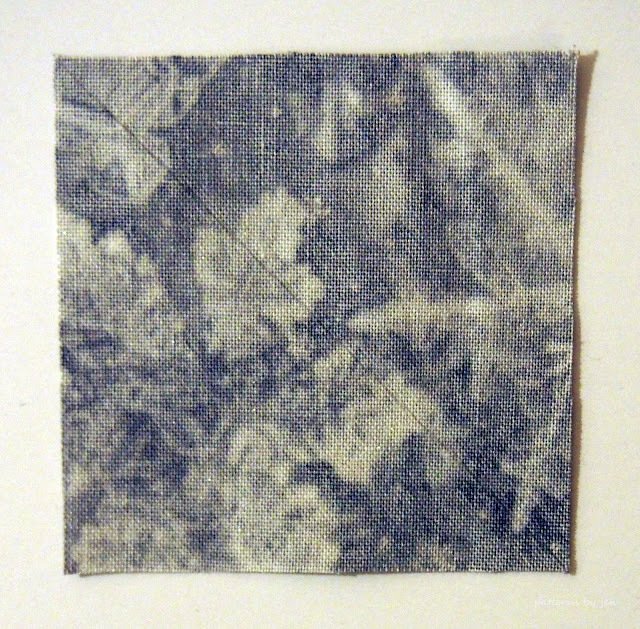 Block in "Here A Square There A Square"
I did this! 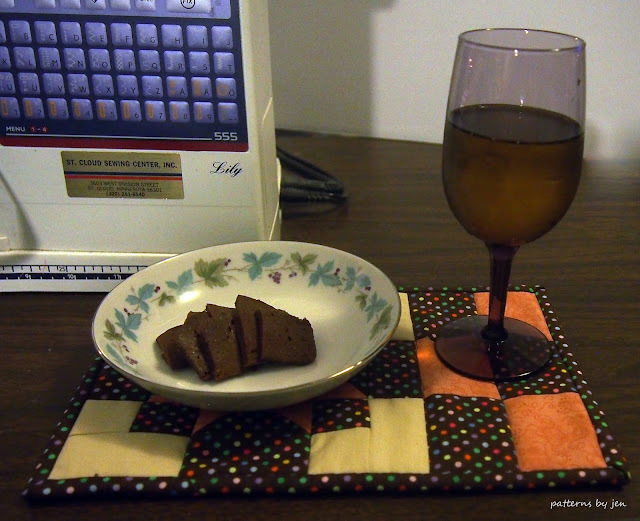 It wasn't pretty, and I don't know if there are more in my future, but it was good to try. "Muggamo" pattern with the most love. I think this one is just a constant goal, and one I will continue to work on. Well, not too bad if I do say so myself! 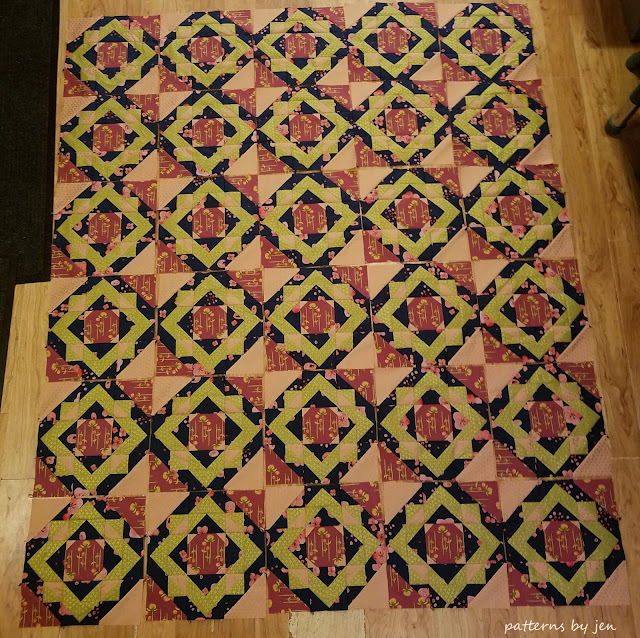 I didn't realize that I had actually published 8 patterns this year. Granted, two of them were in Quick Quilts last year, and one of them this year, but I'm excited to see growth. I have four patterns already tested just waiting for me to get cover quilts going, I just need to figure out my 2018 goals and where those patterns fit in. 1) Take care of me. I'm changing it up a bit this year. I've been struggling since July to find a good balance in my life; family, child care business and pattern business. I've enjoyed it all, but found myself constantly feeling behind, and that is an awful feeling. 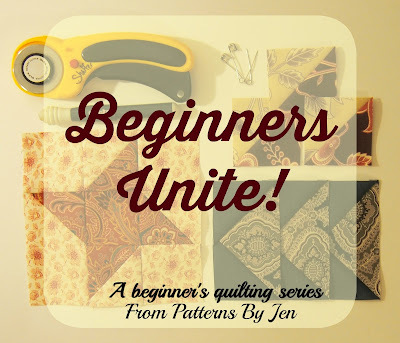 While I am planning on publishing more patterns, I'm going to step back from the pressure of publishing them and try to go with the flow a bit more. 2) Grow relationships. 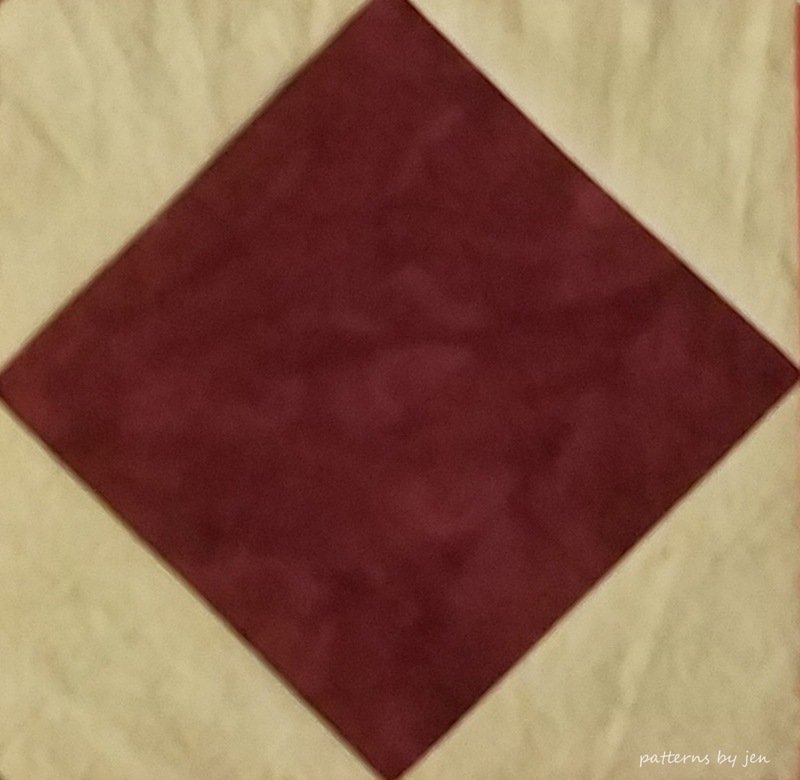 I'm finding my blogging/social media world a bit quiet, so I'm hoping to get more involved and "in touch" with those who understand the nuances of the quilting world. I think that will help with goal 1 as well, because support goes a long way in helping keep the burnout away. 3) Distributors. I need to contact distributors again and get some feedback. 4) Teaching. I'm getting a page ready with information on workshops/trunk shows/lectures. I'm excited to get that "published" and get the information to you. What do you think of my pared down goals? I think they still work on what I feel is important for PBJ, but give me a little bit more room to relax and enjoy the process. 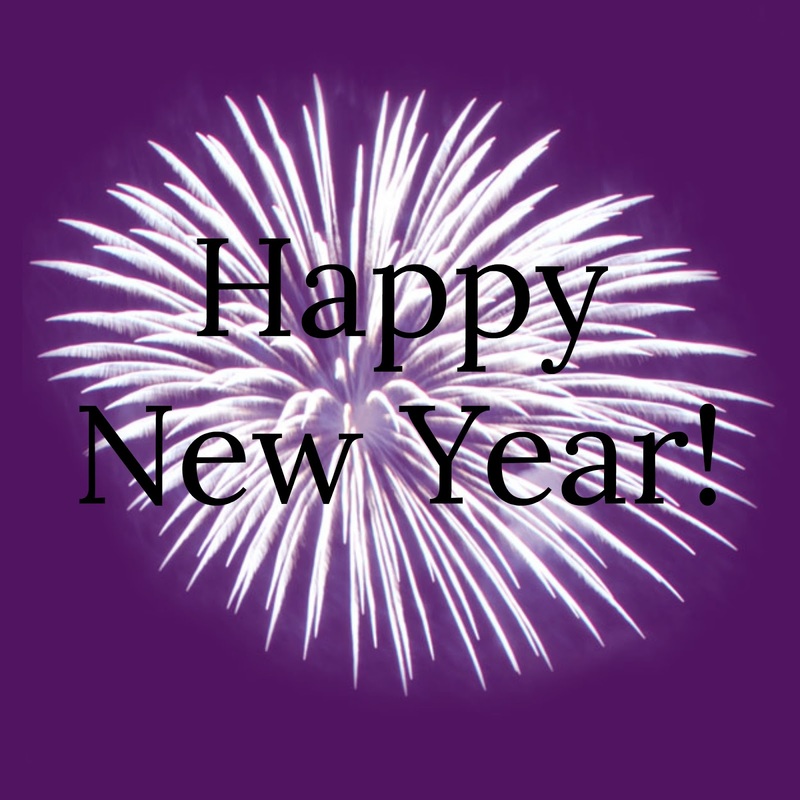 By the way, I am starting something new this year! 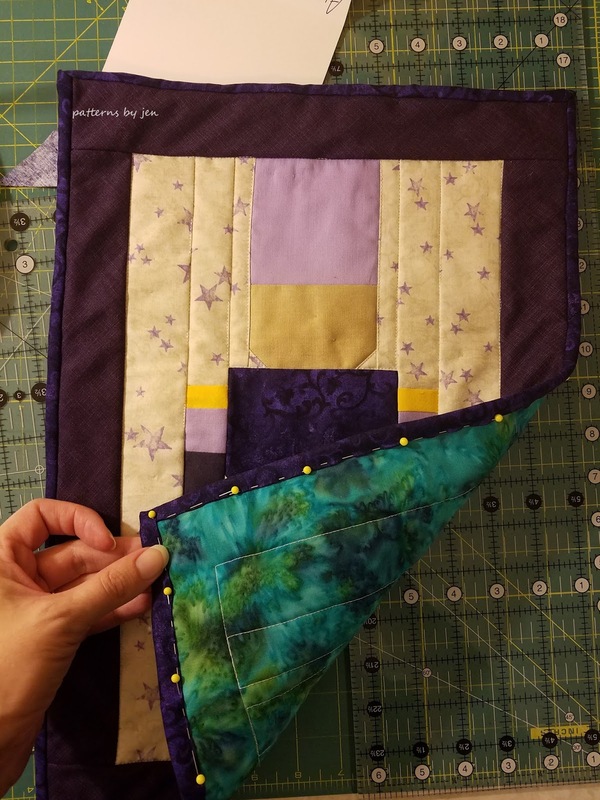 In place of the Muggamo series; I am having a 2018 Monthly Color Challenge blog hop/quilt along. It starts tomorrow! 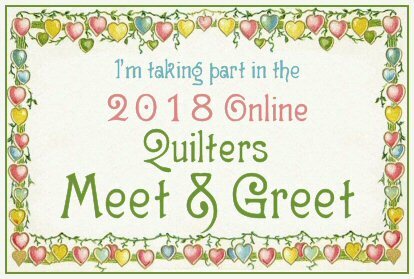 I hope you join us! 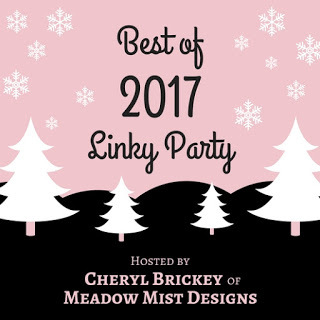 This year I'm joining the "Best of 2017 Linky Party" hosted by Cheryl of Meadow Mist Designs. I'm pulling 5 of my best posts from 2017. I hope you enjoy the look back as much as I did. This one was my "Top Comments" post (not including the giveaway posts), Finding Your Color. I really enjoyed this post and I want to do some more like it. This one was my "Trying Something New" post, Beginners Unite. I really enjoyed sharing my tips and how to's. 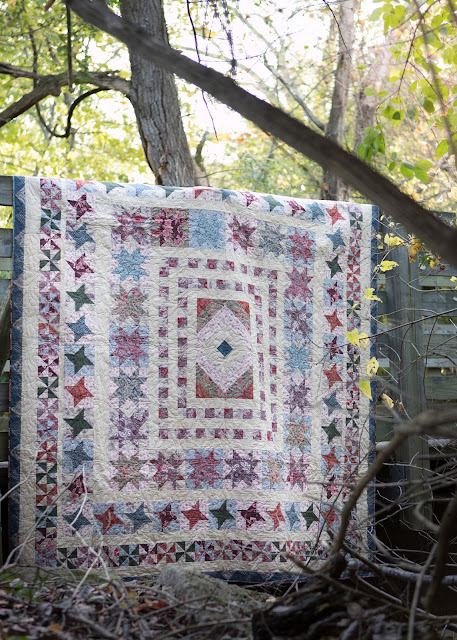 I LOVE quilting, and I want to share how I make it enjoyable for me. 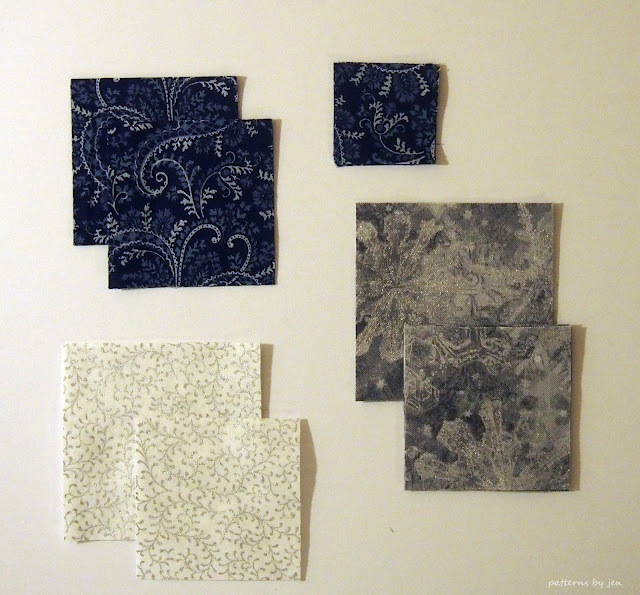 This one is my "Stretch Your Comfort Level" post, Spools - Piecing and Quilting with Precuts. 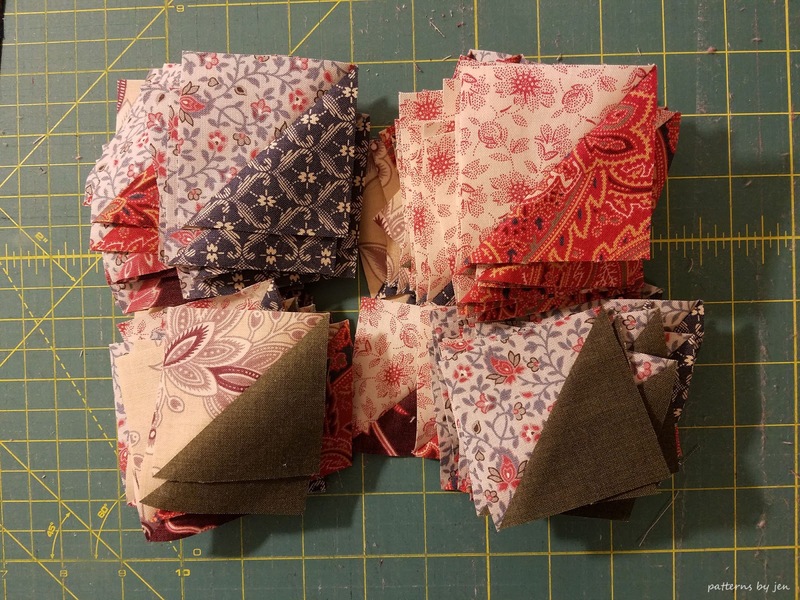 I truly enjoyed the opportunity to take a peek at Christa Watson's new book, Piece and Quilt with Precuts and to make the Spools quilt. Learning something new was fun, and stretched my comfort level. 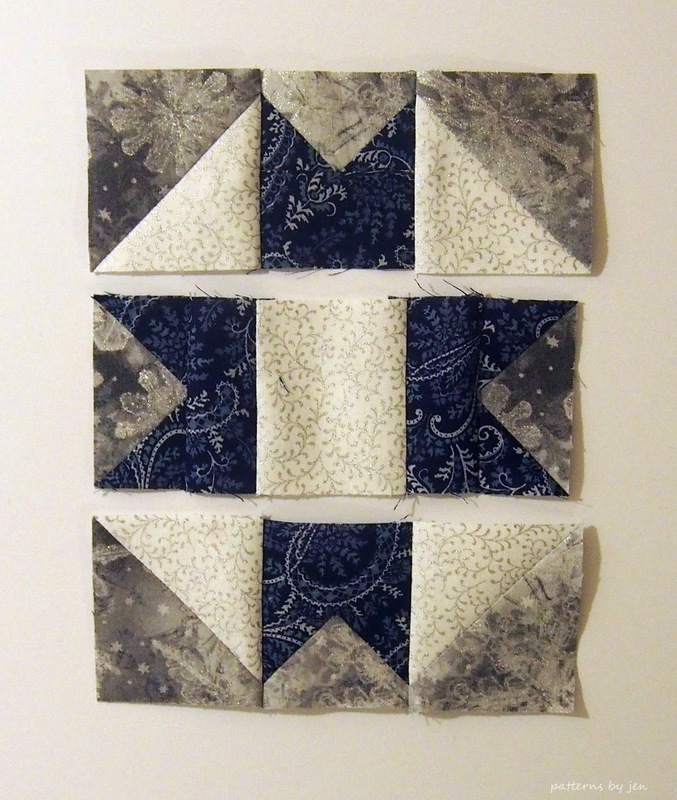 This girl loves her straight and narrow, which is not what improvisational piecing is. This one is my "I'm so proud" post, Introducing Softly Circled!. 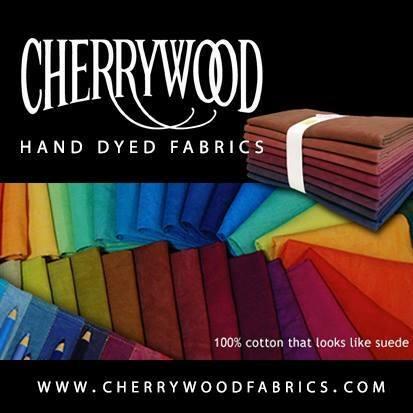 Softly Circled is my best seller, and it has been to Paducah and Houston, thanks to Cherrywood Fabrics. 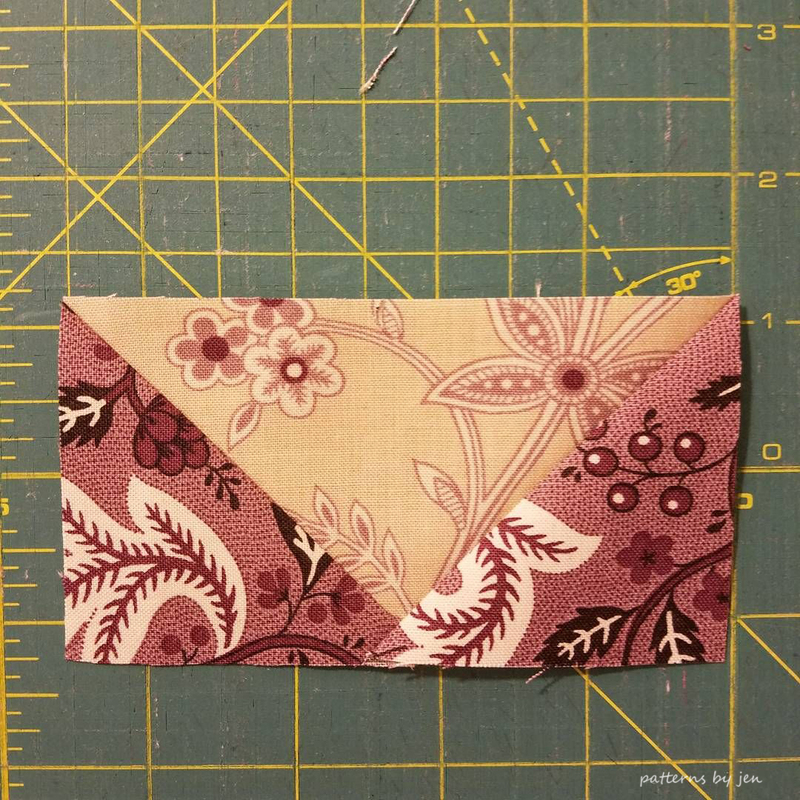 Using their gorgeous fabrics and Deb Tucker's Corner Beam® ruler, it is one of my favorite patterns. Whoa. Just whoa. When you see something like this you just sit and try to take it all in. She found the perfect spot for this Gradient Stars Sample. This one uses two of Deb Tucker's rulers, the Corner Beam® as well as the VBlock Trimmer®. Bonus pick! 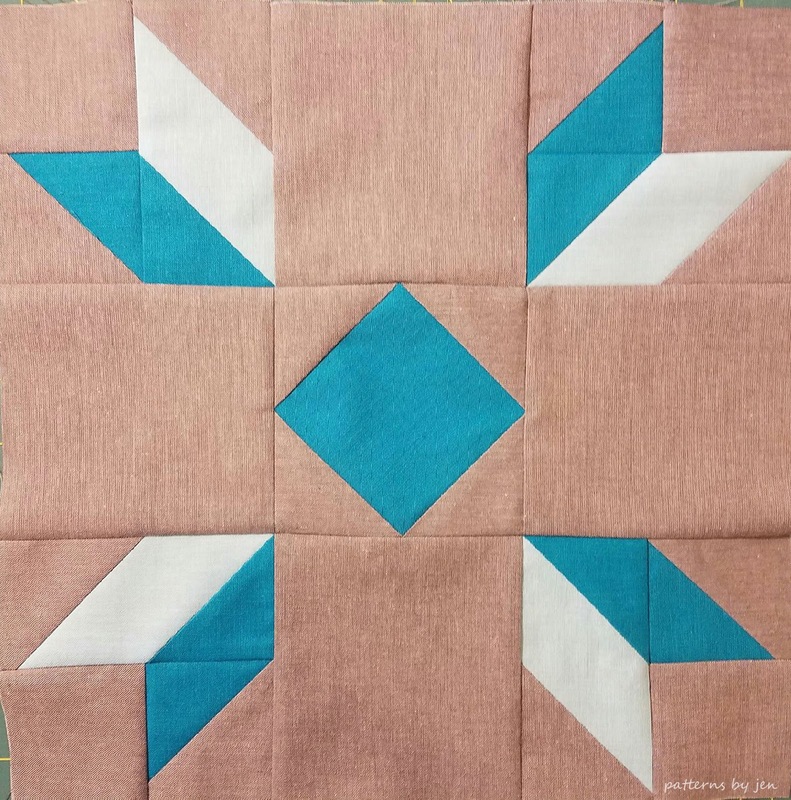 Don't miss the 2018 Monthly Color Challenge that starts January 1st!!! A year long block of the month, quilt along, blog hop "thing" that has prizes AND a grand prize. Thank you for taking this look back at PBJ with me. This third year of blogging has been productive and enjoyable. I've stepped out of my comfort zone in a few areas, and grown (hopefully) in my approach and my designing. I am really looking forward to 2018, but that is for another post. This months Picked By Jen is coming to you a bit late, but it's worth it! If you are like me, you have your fingers in a thousand pots right now, which is difficult, since we only have 10. 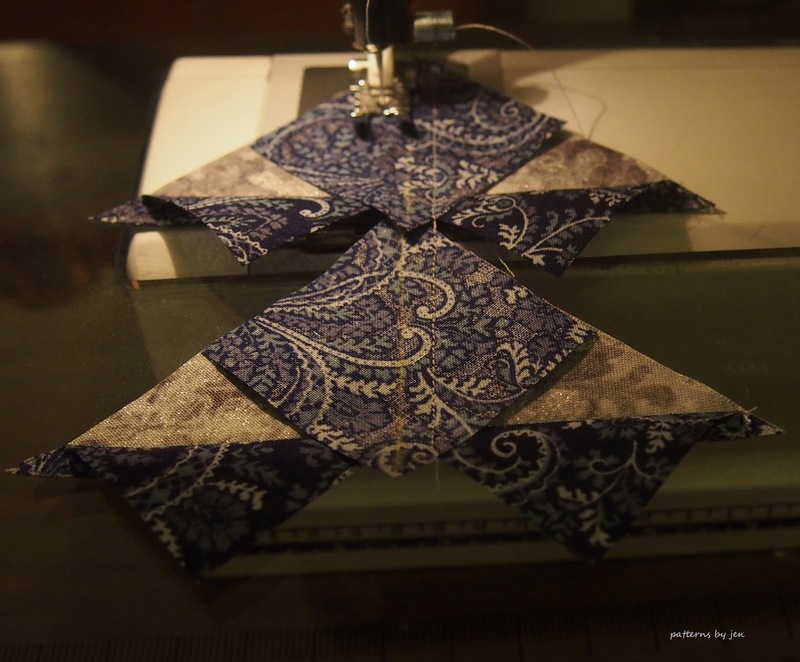 This quick sew is worth it though. For peeks at what I'm working on follow me on Instagram. 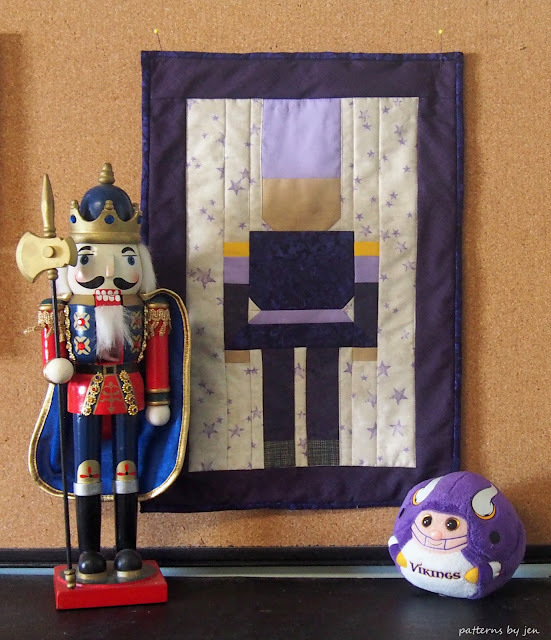 I used my favorite color purple, and when Beth saw it, she asked if it was for the Vikings. 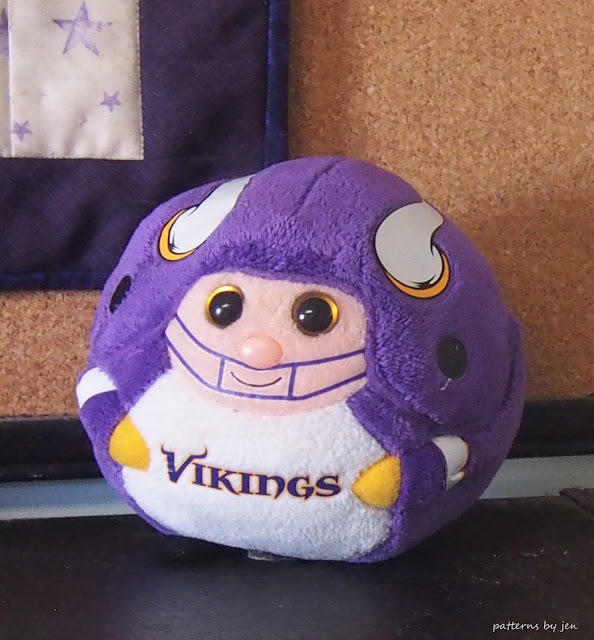 Ummm, no, I'm a Steelers girl, however, I live in MN, so my youngest is definitely a Vikings fan. Which makes easy pickings for an awesome prop. I could totally see this guy in Black and Gold though, couldn't you? You could embroider your favorite team's emblem on the hat, and make a whole team. Seriously, I need a Steelers soldier, now that I have a Vikings one, because I will never NOT see Vikings when I look at this fellow. Ha! PS I totally faked the binding. No judging! Fingers and pots, people, fingers and pots!! Did I mention no paper piecing? 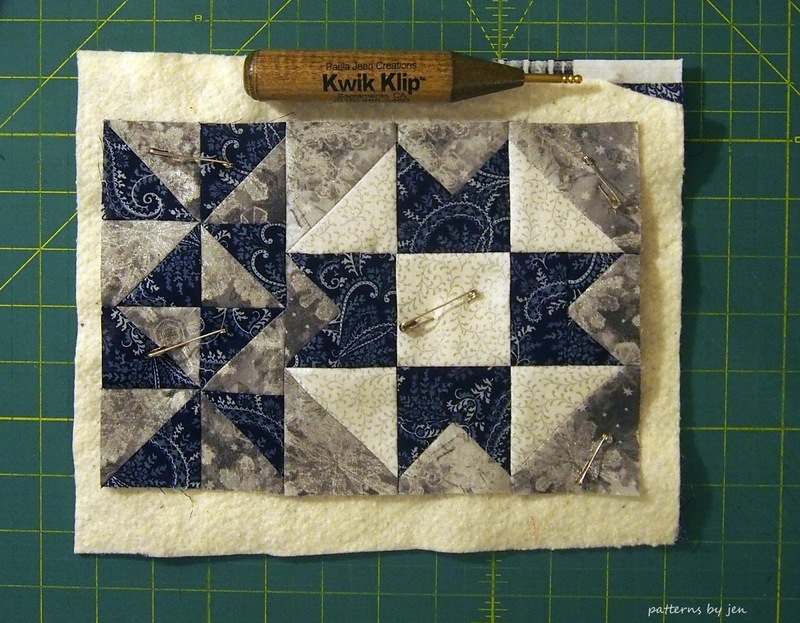 Totally had me at no paper piecing. Would you make a team of Christmas soldiers or would you go more scrappy? I'm starting to see an awesome tree skirt with these guys. So many possibilities, so little time. 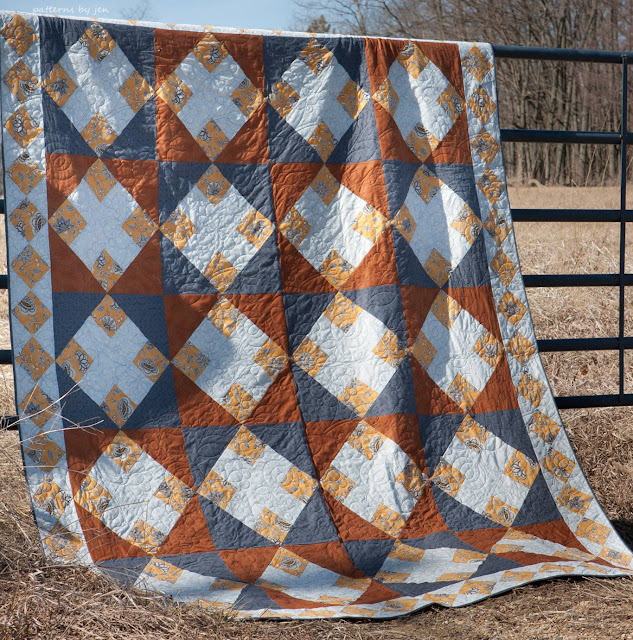 Don't miss the 2018 Monthly Color Challenge! It starts January 1st and runs all year long, with some fabulous prizes. Here are my finishes for November! November Muggamo used one of my favorite polka dot prints.... Ok, I love all polka dot prints. We finished up the Beginners Unite Quilt Along. 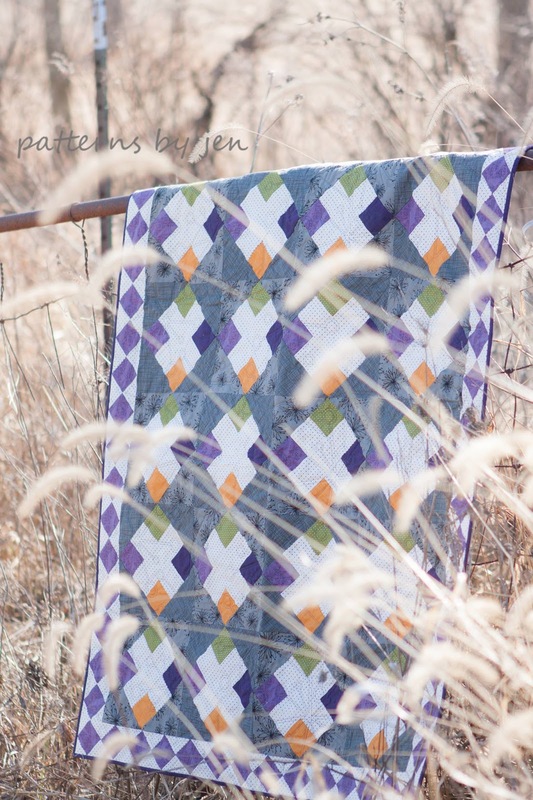 The Modern Marks Blog Hop happened this month and I introduced my Broken Panes Quilt. 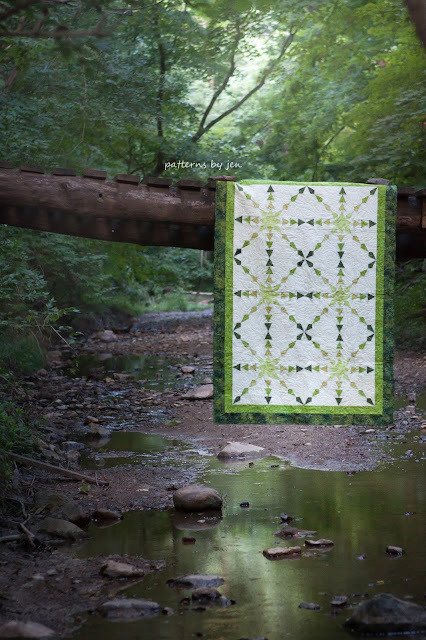 Coming up is the 2018 Monthly Color Challenge, find all the information HERE. 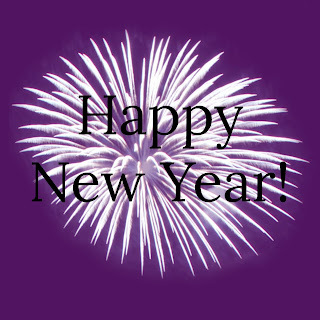 The end of the year is here! Thank you for following along on my quilting/designing/blogging journey. 2018 will be awesome! 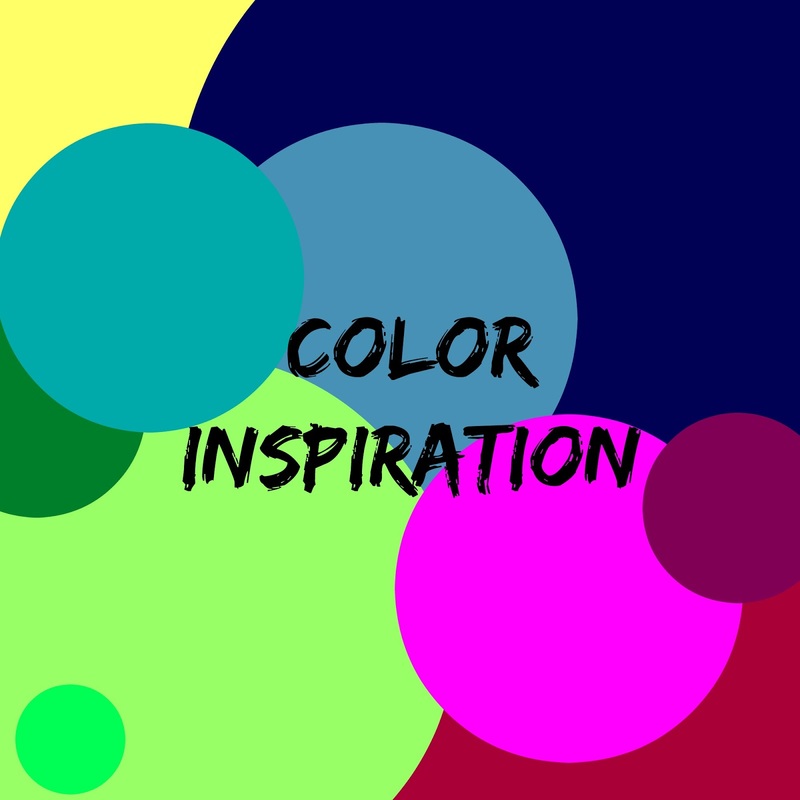 Announcing the 2018 Monthly Color Challenge Blog Hop! 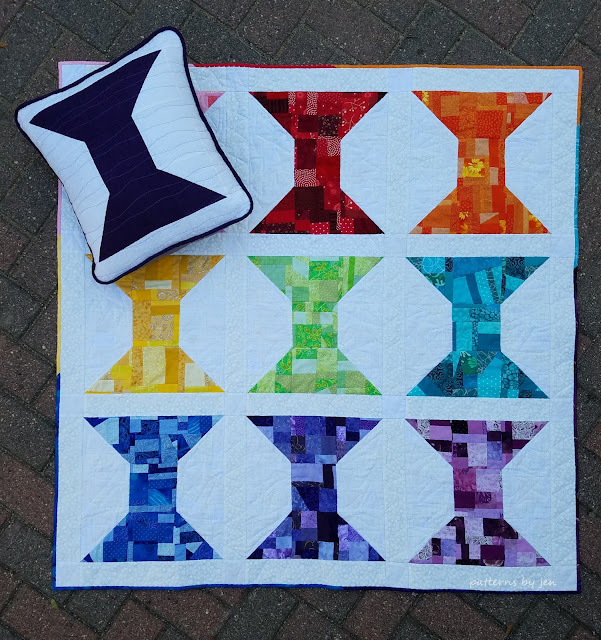 Now find all of the 2018 Monthly Color Challenge blocks on Payhip! I am so excited to finally get to share with you the upcoming plan for 2018! Around mid-November I was trying to come up with something to take the place of the Muggamo series, after all, there are only so many mug rugs a girl can make. I wanted to keep it free, and I wanted to keep it monthly, so I *had* to keep blogging fairly regularly. The 2018 Monthly Color Challenge was born. I started thinking about how it would be fun to get others involved. I was thinking while quilting (which can be dangerous) the Here a Square, There a Square quilt. 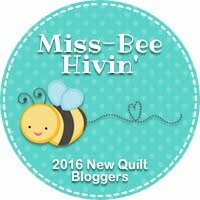 I decided to step out of my comfort zone and run a blog hop. First step, getting fellow bloggers to join in. Well, first step accomplished. I am thrilled with the enthusiasm this hop was received with. There will be seven bloggers joining me throughout the year. 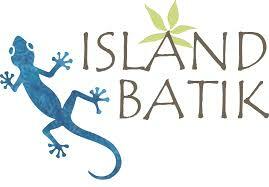 You will get the opportunity to visit five of them each month. How exciting is that! Then, I decided that we should have sponsors. Go big or go home, right?! I am so excited to introduce you to the sponsors we have joining us throughout 2018. Please make sure to stop by and visit them and show your appreciation! I am truly grateful for these companies jumping in on this last minute set up!! 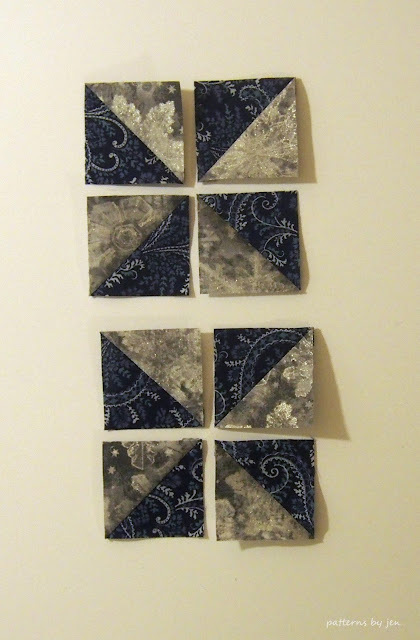 On the first of each month I will be posting a quilt block with instructions for a finished size of 12" or 6". 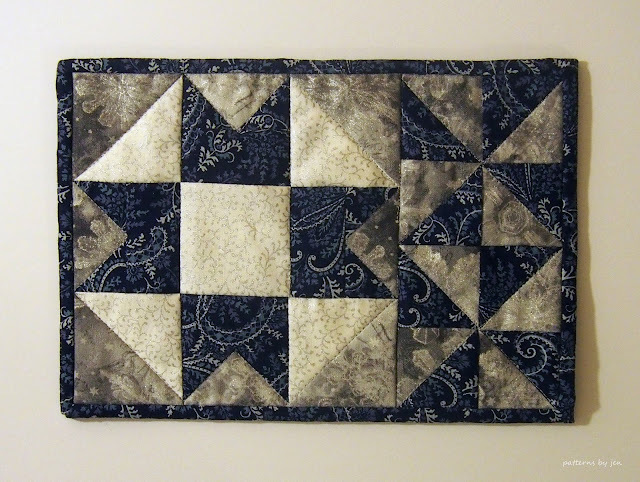 The blocks are beginner friendly and will feature one color. 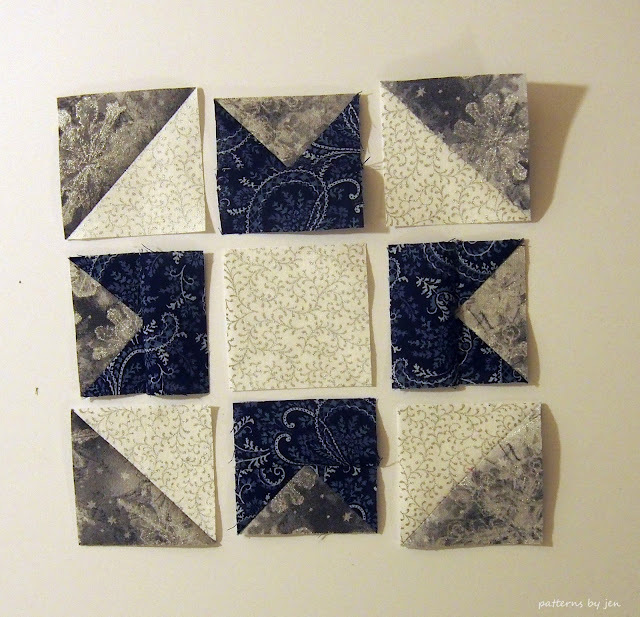 The bloggers for that month will either be making that block, OR they will be sharing their own free pattern which may or may NOT be a quilt block. 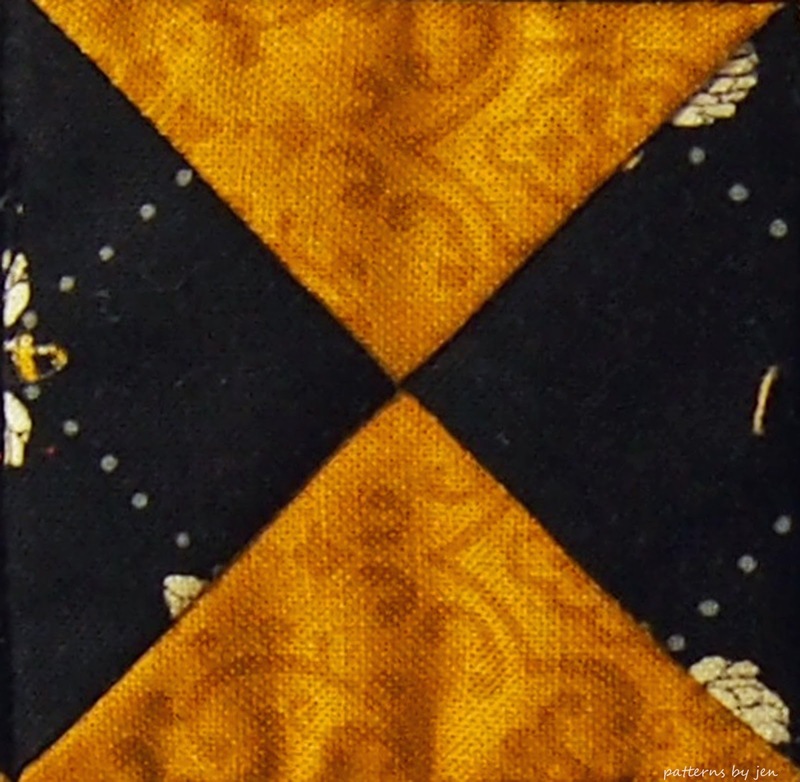 Towards the end of the year I will share a few different layouts, so you can finish your quilt. 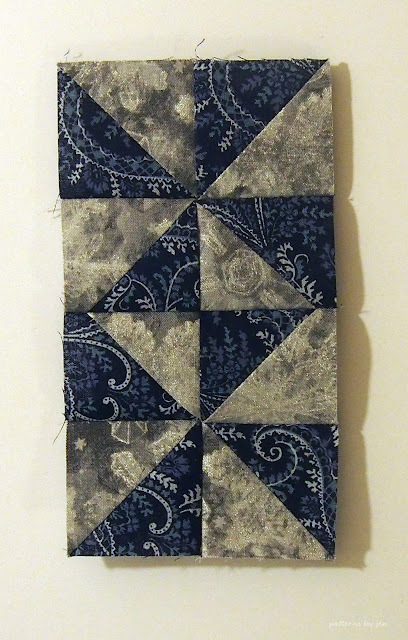 The challenge is to make something in that color for that month, either the block (either size or both) or something else. 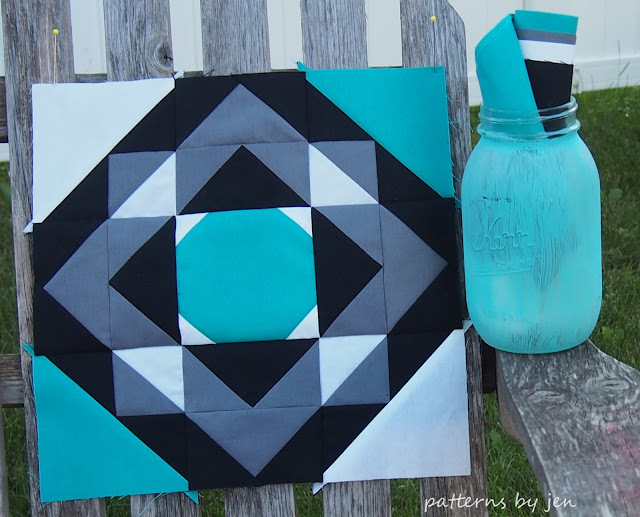 A link up party will open ONE week before the end of the month, here on the Patterns By Jen blog. When you have made your block or something else, link it up and on the 1st I will choose a winner. 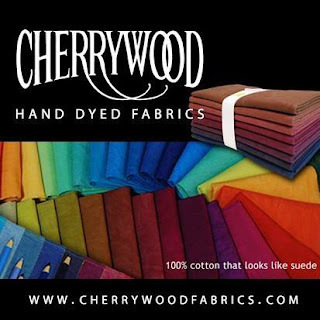 There are fabric bundles and gift certificates that will be given all year long! Who's read to start?! Come back January 1st to get the first block. The blocks will be a mystery until the 1st of each month, but I'll give you a peek at the colors as well as a list of the link up dates. I can't wait to see all the color ideas everyone comes up with throughout the year! If you are playing along with us, make sure to use #2018monthlycolorchallenge on social media! It's my birthday! 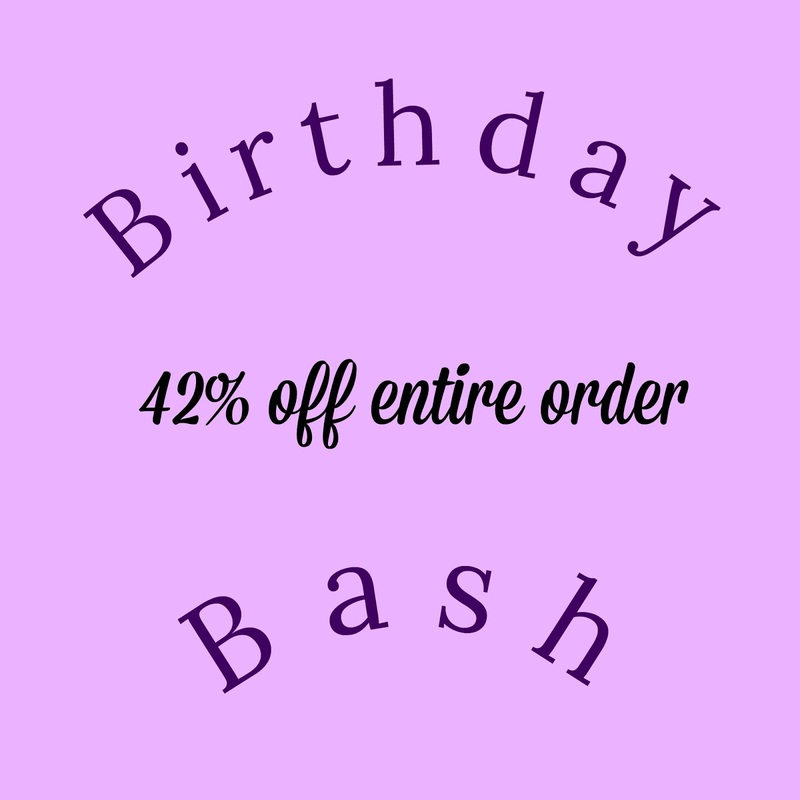 I'm celebrating with a sale! 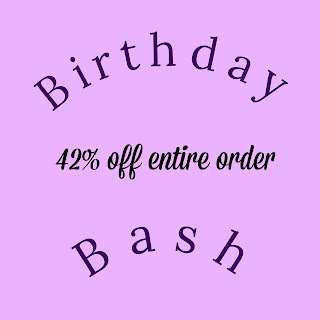 Use the code BIRTHDAYBASH42 now through Dec 10th and you will receive 42% off your entire order. 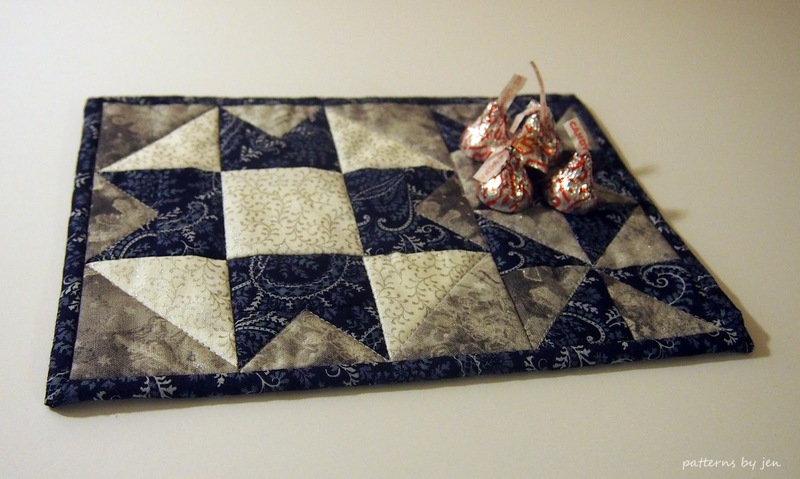 All patterns, paper or digital, and rulers are included in the sale. In my Patterns By Jen Etsy shop or Payhip stores only. Have you ever found yourself in need of some quilty math help? My answer would be, "All the time." I have a lot of numbers running through my head, and usually running together, so here are the calculators that I regularly turn to for help. I like to make my units oversized and then trim to perfection, and the pages I use for help all have calculations for that. Go here to see how I make and square up my HST units. This chart is for the No Waste Flying Geese method. She tells you how much to add or making your geese a little larger for trimming. 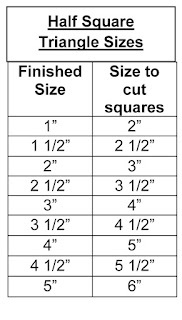 Go here to see how I trim my FG units. 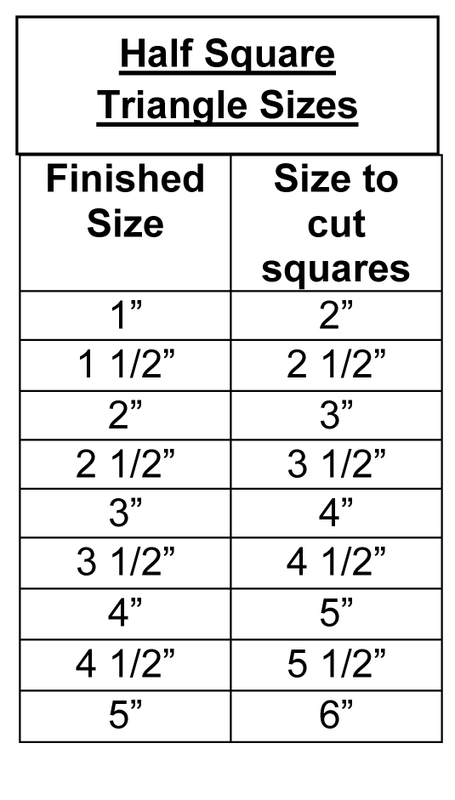 I use the Wing Clipper and it comes with a handy size chart that is downloadable from Studio 180 Design as well. This chart is for Hourglass units, again from Generations Quilt Patterns. She tells how much extra to add if you like to trim. 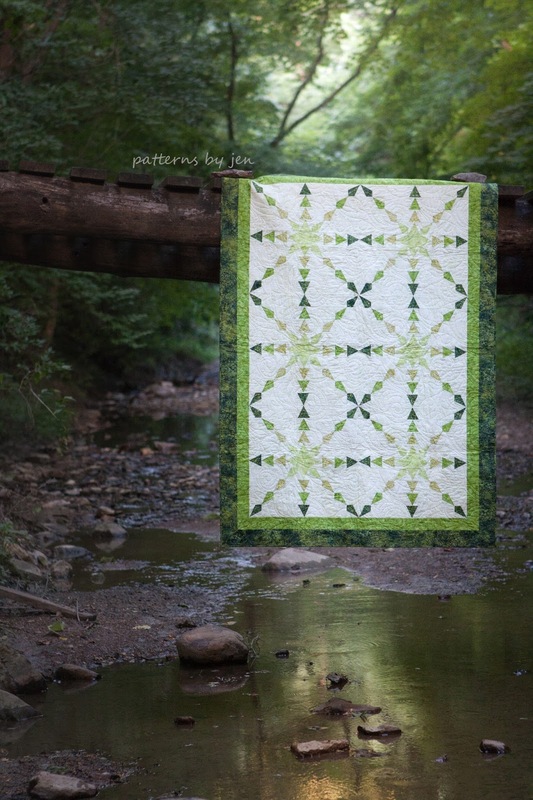 My go to has been Quilter's Paradise calculator. Plug in your number and get a quick answer. Quiltville and Bonnie Hunter. The chart she provides is for the Easy Angle ruler, but she also provides measurements for the rotary cut, which is what I use. I head back to Generations for Setting Triangles for On Point quilts. 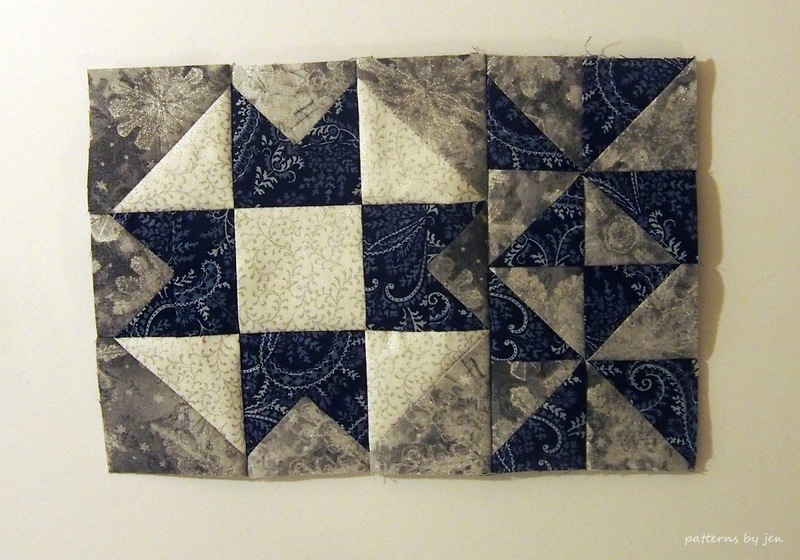 I love HST units, but I'm really starting to fall in love with the Quarter Square Triangles, shhhh don't tell. 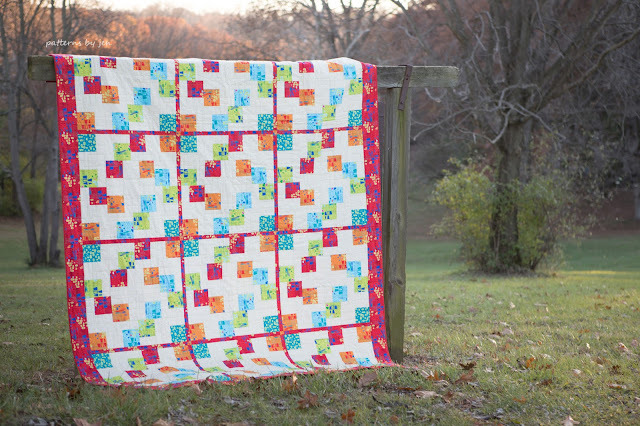 Traditional quilts will probably always be my favorite, and these units are all my go to for making beautiful quilts. If you have favorite calculators or charts, please share in the comments! 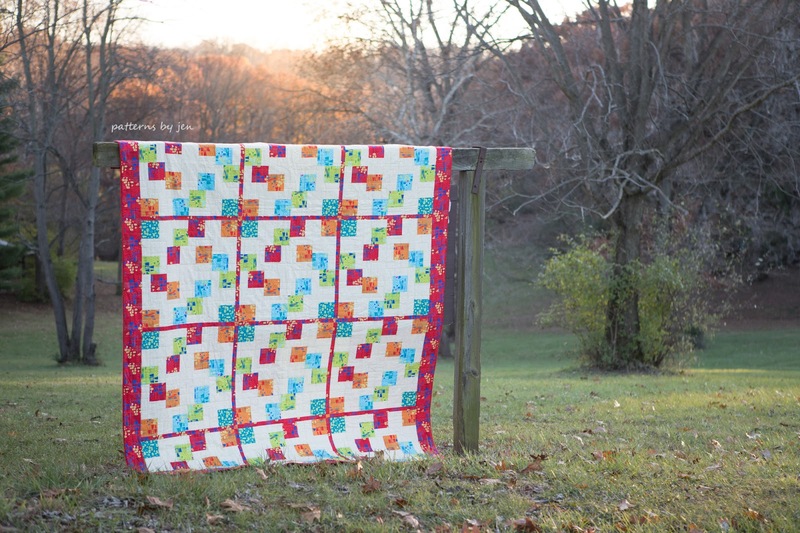 It's December and the last Muggamo pattern is here! This is a quick pattern using half square triangles and flying geese units. 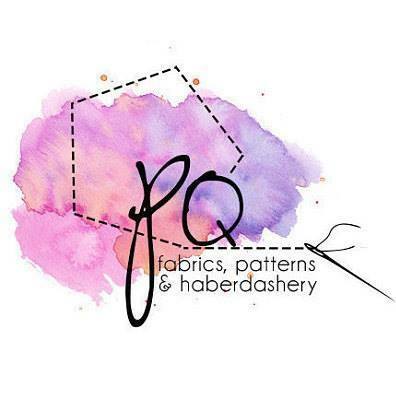 Get your free pattern HERE. 4 - 1 1/2" x 2 1/2"
Mark the wrong side of the all the grey squares, except the 3 1/2" square. 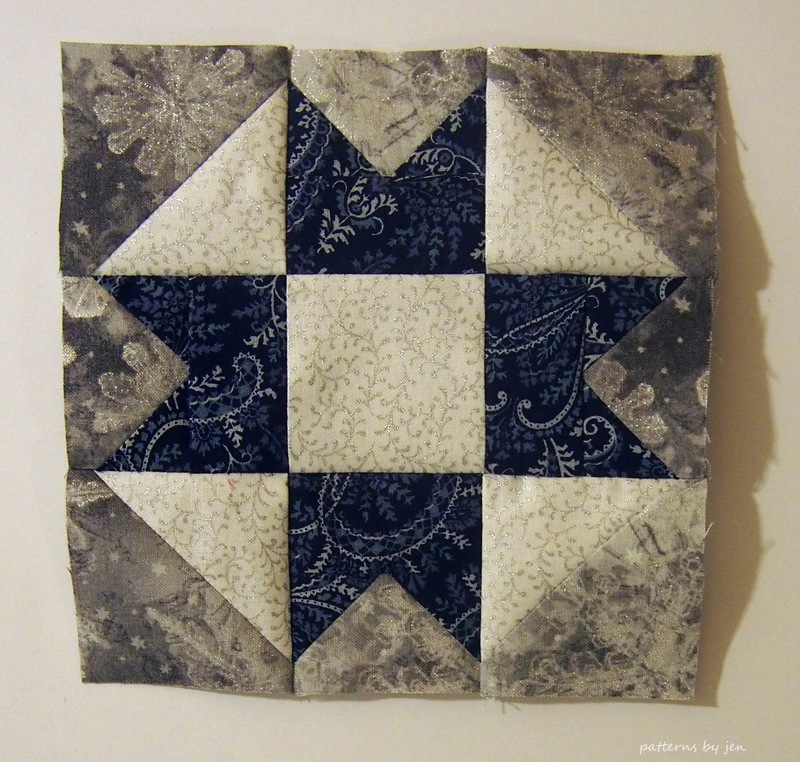 Match the marked grey squares with the blue and white squares of the same size. 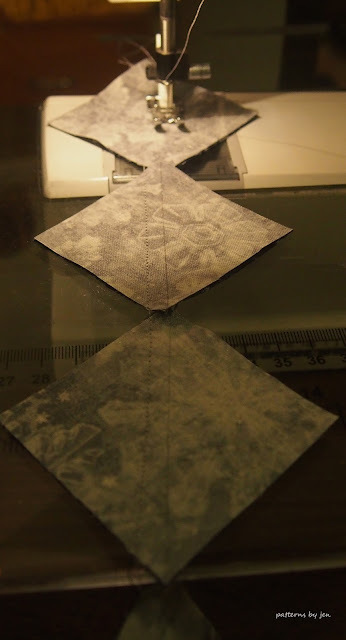 Make four white/grey half square triangles and square to 2 1/2". Make eight blue and grey half square triangles and square to 2". 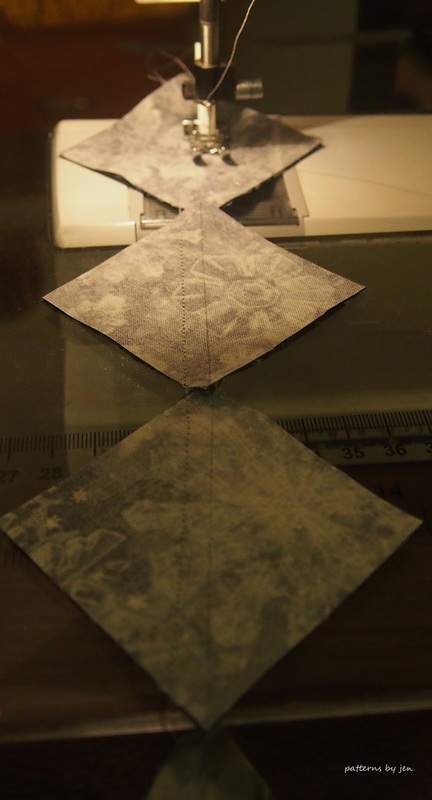 See how to square half square triangles here. Using the 3 1/2" grey square and the blue 2" square. Make the flying geese units. Use the no waste method shown HERE. Square to 1 1/2" x 2 1/2". 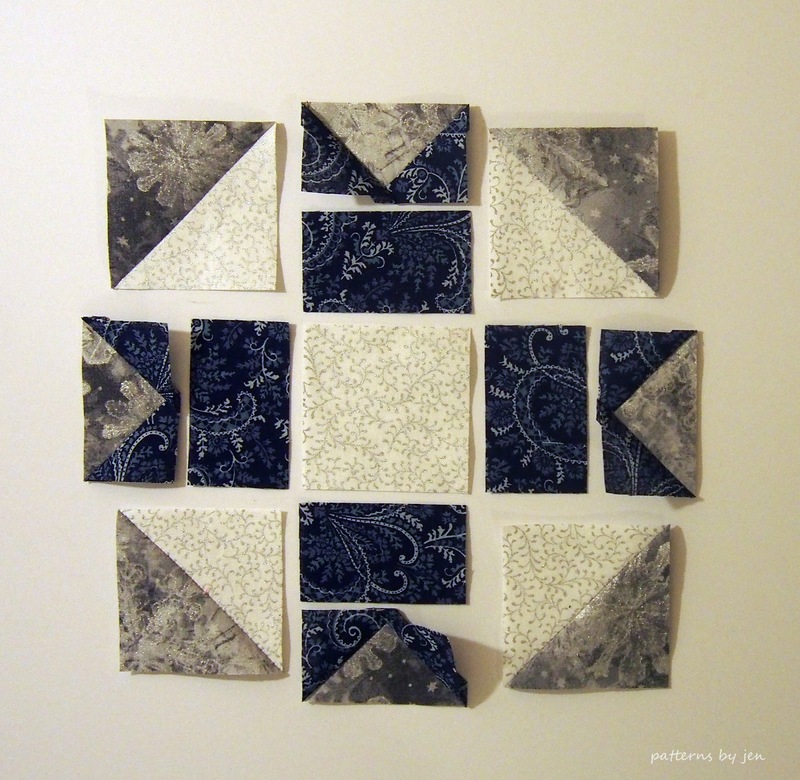 Lay out the pieces of your block. 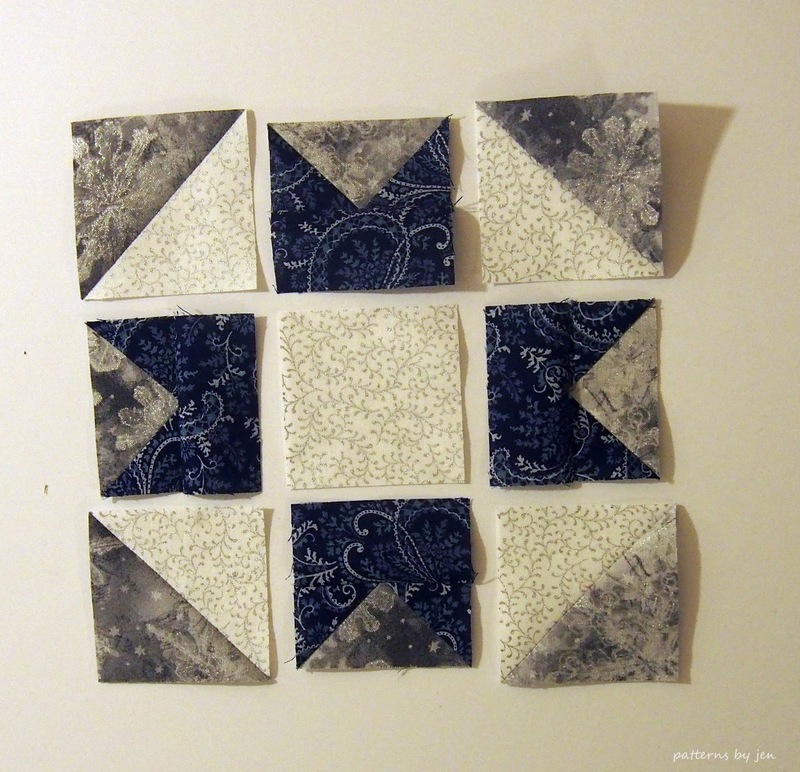 Sew the flying geese units to the blue rectangles. Sew rows into the block. 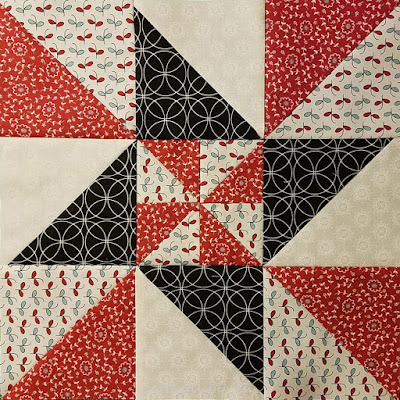 Lay out the half square triangles into pinwheels. 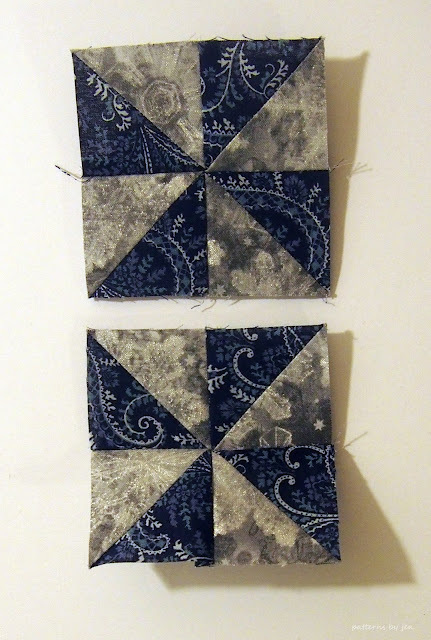 Lay block and side piece out. 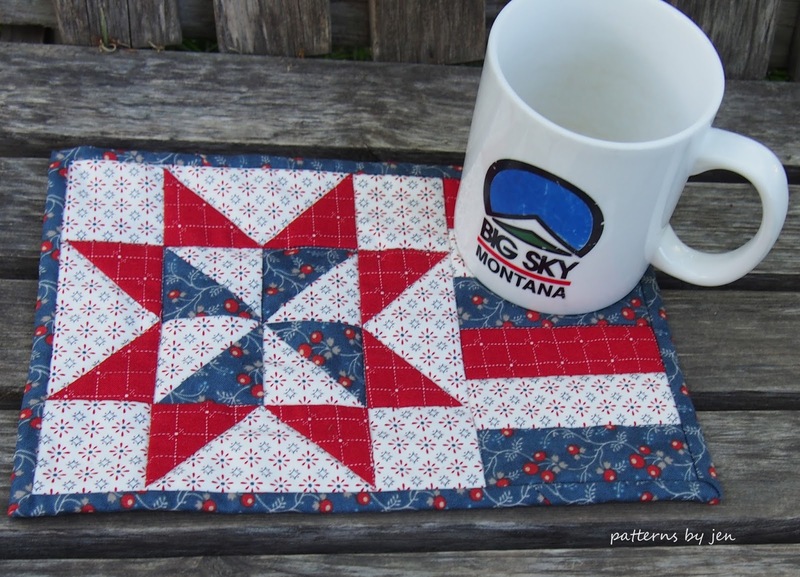 I hope you have enjoyed the Muggamo series quilt along!! There is something exciting coming for 2018, more information coming later in the month! 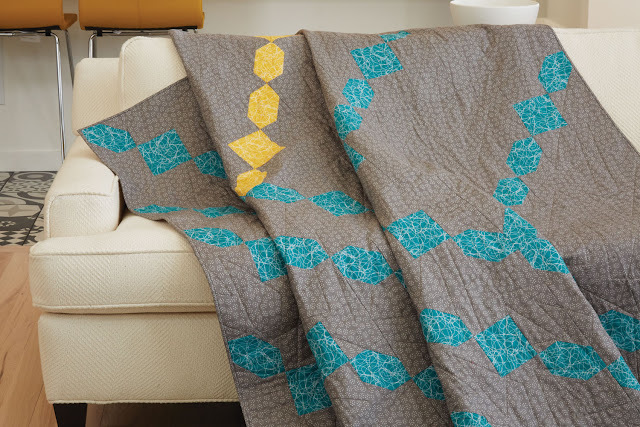 There is still one day for a chance to win a bundle of Christa Watson's fabric, Modern Marks. Go check it out!